Recently, I shared on my Facebook page about my own struggle to cover prescriptions and counseling. 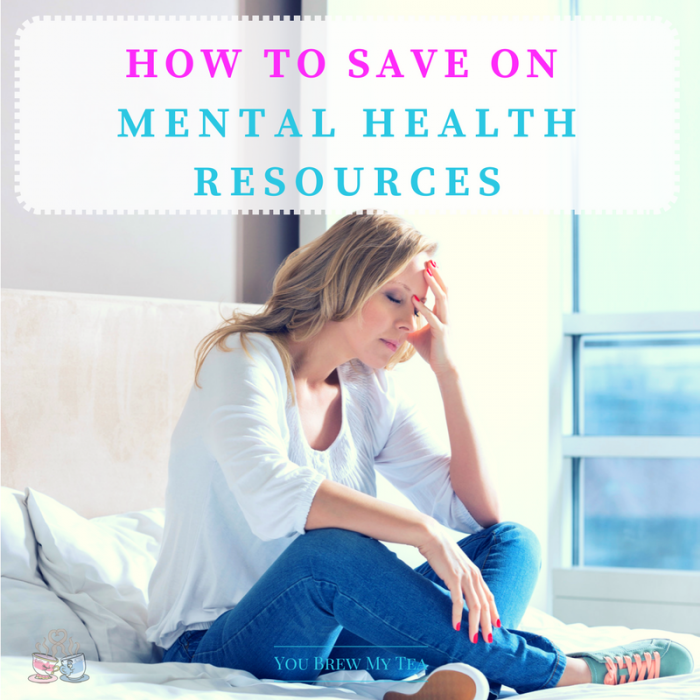 This spurred me to share with you tips for How To Save On Mental Health Resources. Why? Because I realize that while I currently have good insurance coverage, it may not always be there. I also know that many individuals are unable to pay for their health insurance, prescriptions, or counseling needs. These tips are ideal for anyone struggling to manage these costs. This post contains affiliate links. I may earn a commission through purchases made through these links. Let me start by reminding you that I am not a health professional. The tips I am sharing below are not a medical diagnosis nor meant to replace proper medical care. 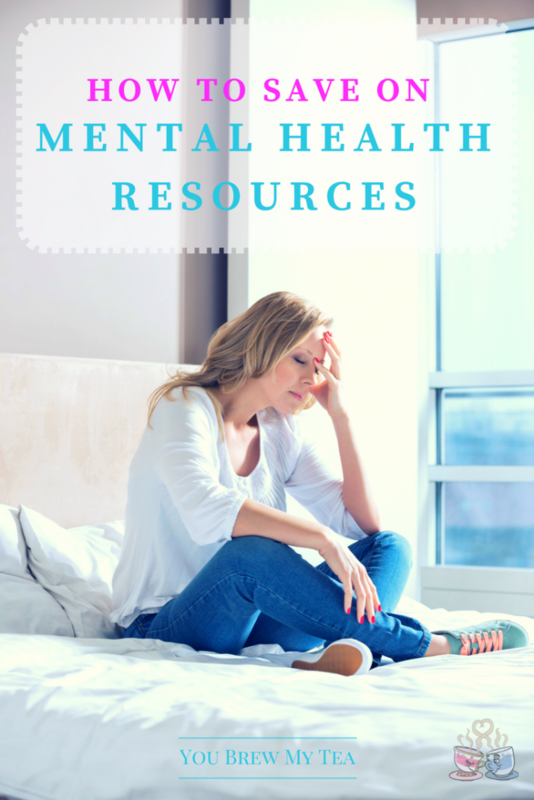 They are simple ideas to help save money on common mental health resources. Additionally, this post is in partnership with SearchRX. So, while there will be some mention of their services within the post, all opinions are my own. Look for alternative prescription plans. My current prescription plan is great. However, I know that if the changes continue to happen with the ACA, it won’t be long before I will have to look for something different. When that time comes, my pre-existing conditions are likely going to leave me with a much higher prescription cost, or no coverage at all. So, knowing about alternative prescription plans is a must. SearchRX isn’t a typical prescription plan. This won’t pay for your medications, but it will discount them and save you a significant amount of money. When I looked at their site and even called my local Walgreen’s with questions about pricing, I found out that using SearchRX would save me over $200 on my anti-depressant compared to just paying cash for the generic product. While it doesn’t make it a $5 or free co-pay like some are used to having, that is a huge savings, and could, in my case, make it much more affordable for me to continue being on my prescriptions without insurance. Ask your physician for samples. If you are taking a medication that does not have a generic option currently available, you will definitely want to check with your doctor first for some samples. This is especially helpful if you are just starting out and unsure if it will work for you or not. By using samples for the first few weeks to month you can find out if it will work before making the big investment. This is one of the most popular affordable mental health resources many utilize since physicians are often given more than enough samples to assist an individual. Use discounted doctor visit programs. SingleCare is another great program that allows you to save money on actual medical care. This program allows you to have discounted video doctor visits for everything from a basic cold to an actual counselor chatting with you about your anxiety and depression needs. Prices range from $25-$79. This makes it much easier for anyone to get the mental health resources they need affordably. Ask the manufacturer for discount programs. About ten years ago, I worked for a pharmacy. As a pharmacy technician, I become really well acquainted with the various programs offered by different pharmaceutical manufacturers. While this isn’t available for generic products, most name brand drugs have a discount program out there in some form. There is a lot of paperwork involved up front, and you will have to send in proof of financial need. However, if you are like many and have thousands of dollars in medication needs each month, this is one of the best mental health resources out there. For some medications like Wellbutrin, Abilify, Seroquel, Zyprexa, and similar that are popular for bipolar disorder, schizophrenia, and similar mental heath issues, this can be upwards of $3,000 a month in medication savings. Seek out free online or local support groups. The best mental health resources come from local support groups. At least, that has been my own experience. Your physician or their office is often going to know the most about local free or low-cost mental health resources. While I am not yet familiar with my new community enough to offer tips here, I know that in my hometown in Arkansas there were several area programs. Not only did we have a local free clinic that was open once a month for evaluations and prescriptions, but there was also a local counseling center that had free clinic days for those in need. Online support is not the same, but it can be a huge help for those who simply need someone to talk to about struggles. Seeking out others who struggle with the same mental health needs you do can be a huge help. Forums, support groups, and interactive local support are vital no matter what your financial situation. Don’t wait too long for treatment. This is where I get real with you. Stop putting off treatment. I did. I put it off for years. In that time I was a beast to be around. Not always, but a lot of the time. Struggling to keep me in check was impossible and the result was a very difficult thing for anyone to live with. Once I accepted I needed the help, got medication, and treatment, I became a different person. I look back now and realize how much money I wasted on feeding my emotions, struggling to make ends meet because I couldn’t concentrate, and sleeping away my work hours out of depression. Stop waiting, and get treatment today. These mental health resources are some of the better options out there to make it affordable to really take care of yourself. It’s hard. It’s just really hard sometimes to be the person you need to be when you are fighting your own emotions. You don’t have to do this alone. From discounted prescriptions through places like our sponsor, SearchRX, to seeking online support, there is always a solution.